When it comes to creating moments worth savouring in your home, you're the boss. Whether it's a year-end team party for your child's soccer team or a progressive dinner in the neighborhood, you love playing the gracious host. This suite of appliances helps you bring generous hospitality to the kitchen and beyond. The right pairing of food and wine can take your delicious results to the next level. 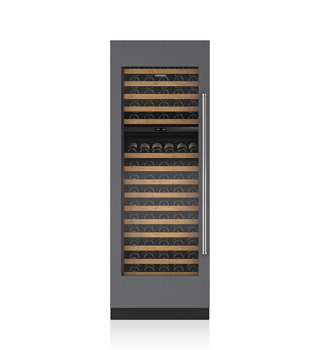 Our 762mm Integrated wine storage keeps up to 146 bottles at exactly the right serving temperature, so you and your guests will get the absolute most enjoyment out of every glass. 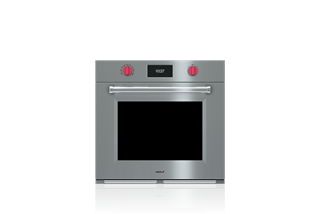 "Whole meal in, whole meal out"
Instead of juggling several pots and pans, cook the whole meal - entrée, sides, even dessert – all at once in the Wolf M series oven, with advanced Dual VertiCross™ convection. Sip wine and chat with your guests, while dinner is cooking effortlessly and deliciously in Convection mode. 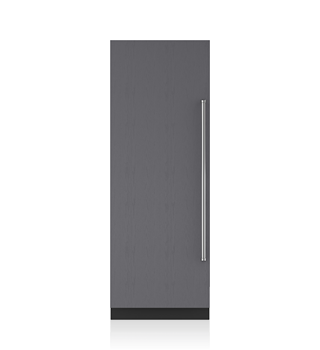 By teaming up the Sub-Zero 762mm Integrated column refrigerator and Integrated column freezer, you'll have plenty of room for all your fresh ingredients, cocktail garnishes, prepped party platters and more – while enjoying our most advanced food preservation features. Are you a brunch lover? Configure it with a griddle. Steaks your specialty? Configure it with a charbroiler. Or do it all with an all-burner model. The Wolf sealed burner rangetop gives you the power for great sears, and the low-end finesse for simmering fine sauces or even melting chocolate for your signature ganache. What if the party moves? Our Integrated refrigerator drawers are already there – in the study, media room – anyplace you need cold drinks and fresh food.